The UW is proud to be a nationally ranked university with a budget-minded price tag. For information on tuition, mandatory fees and other costs, please see UW’s Total Cost of Attendance resources at the Office of Admissions website. University of Washington undergraduates receive about $400 million in financial aid per year. Over 60% of UW undergraduate students receive some form of financial aid. Learn more about financial aid options available for undergraduates at UW. Graduate tuition rates and fees are set and published by the UW Office of Planning & Budgeting. UW Bioengineering’s graduate program tuition is Tier I. More information about current and prior year tuition and fee schedules is available on the Office of Planning and Budgeting’s website. Tuition and fees change annually – please contact the Senior Academic Counselor for more information. Students who are appointed on a Research Assistantship or Teaching Assistantship will qualify for a Resident Tuition Waiver. All other out-of-state students who do not have a RA or TA appointment are required to pay non-resident tuition. With rare exception, international and domestic PhD students receive full financial support for the first 2-3 quarters by the department and thereafter by the student’s principal investigator. Support includes tuition, a monthly stipend and health insurance benefits (medical/dental/vision), assuming satisfactory progress toward the degree. Master of Science and Combined Bachelor/Master of Science students do not receive financial support and are responsible for paying their tuition. All students are responsible for paying nominal quarterly fees (includes cost of full-fare transit pass, technology fee, building fees and others). Office of Student Financial Aid (OSFA) – Information about need-based financial aid such as student loans and work study. Fellowships – Generally offered by graduate programs, fellowships may be discipline-specific as well as broad. Assistantships – Assistantships are available via appointing departments and are covered by a union contract. Options include teaching assistantship (TA), research assistantship (RA) and staff assistantship (SA). Other Funding Resources – More ideas to help students finance their graduate education. 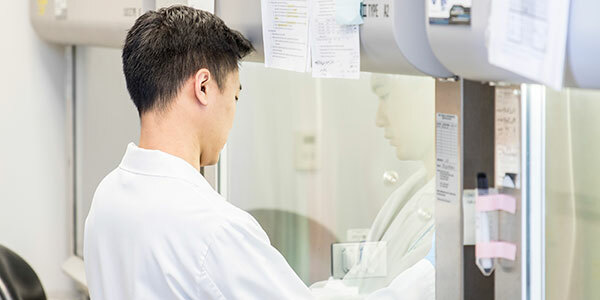 Tuition and fees for the Master of Pharmaceutical Bioengineering and certificate programs are handled by UW Professional and Continuing Education.